Do-it-yourself timber floor repairs have many benefits like saving money, keeping you busy when you are on holiday and more. With a little guidance such as I will give you here, you will be able to pull off a professional job and get your timber floor in shape again. 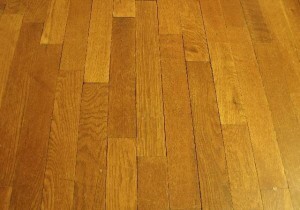 In his short post, I will teach you how to repair creaking floorboards, make them firm again, as good as new. All this … you will be doing on your own. How? Initially … clear the working area of any carpets, furniture, toys, everything! You are now a professional workman and you do not want to trip on furniture as you do your repairs. As you will find out, you will need a wide working area because one creaking floorboard means others are also affected. You see, no floorboard is quite independent of the others. You will need to check its neighbors too. 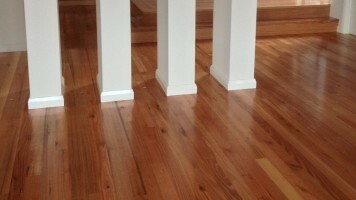 Before I go on, remember to reach out to our team of floor sanding and polishing professionals if you get stuck. I know the first temptation is to knock, nail and screw the creaking floorboard back in place immediately you hear the annoying creaks that gnaw at the back of your mind like a rodent. However, you should never nail it back without looking to see what is underneath the floorboard. If you do that, it will be akin to treating the symptoms of a disease without doing a proper diagnosis, without knowing the root cause of the ailment. FIND OUT WHAT IS UNDERNEATH. Your room is clear, you have identified where the creaking floorboards are, you have all the tools and materials ready (or so I am assuming) and you have overcome the temptation to nail the annoying board immediately. Now, let us get to the actual job, roll up your sleeves! First, the diagnosis, before the timber floor repairs commences … why do floorboards creak? Over time, in the areas that experience high foot traffic, the nails will wiggle loose, thus allowing the floorboards to wiggle about too and come into contact with each other. Actually, the creaking noise is the floorboards rubbing against each other. Identify the loose nail, pull it out with a claw hammer if you can and lift the floorboard up, placing a batten in the gap between the joist and the floorboard. Keep prying with the hammer further and adding more wood battens to prevent the floorboard from going back to its place again. Do this gently because your hammer could damage the floorboard in the process. Why lift the floorboards when you only have a squeaking board? Because you want to be sure the board lies flat on the joist, that no particles of dirt or pieces of wood were stuck between the board and the joist. If part of the floorboard is damaged and you have to replace it, you should only do that on the joist. That is where your new joint will be. So locate the joist by following the pattern of the nails, then cut the rotten part of the floorboard from there, after lifting it up as directed above. If there are no rotten boards and you are just treating the squeaks, you should prise out the loose nails, make sure you do not leave them sticking out above the boards for the safety of the pets and the kids. Then pre-drill the required holes along the joist, for the countersink screws. Screw the countersink screws in the pre-drilled holes until the top of the screw sinks slightly lower than the floorboard. If it gets to a point where it isn’t level with the board and it won’t go in any more, remove it and drill the hole further, then screw the countersink screw in. If you have scratched the boards a bit, you may have to sand it a bit and apply polish, that is, if the scratches are noticeable. 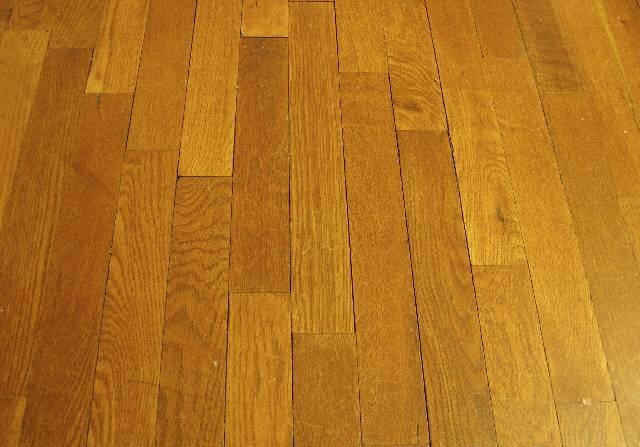 This is a simple DIY timber floor repairs guide for creaking floorboards. Some DIY repair tasks are more complicated. For example, replacing a damaged floorboard takes longer because there is sawing involved and the replacement.